Cake testimonials and feedback from our customer. Please feel free to browse our customer testimonials. If you have had a cake from us, then please feel free to tell us what you thought of our service. We would love to hear your feedback. 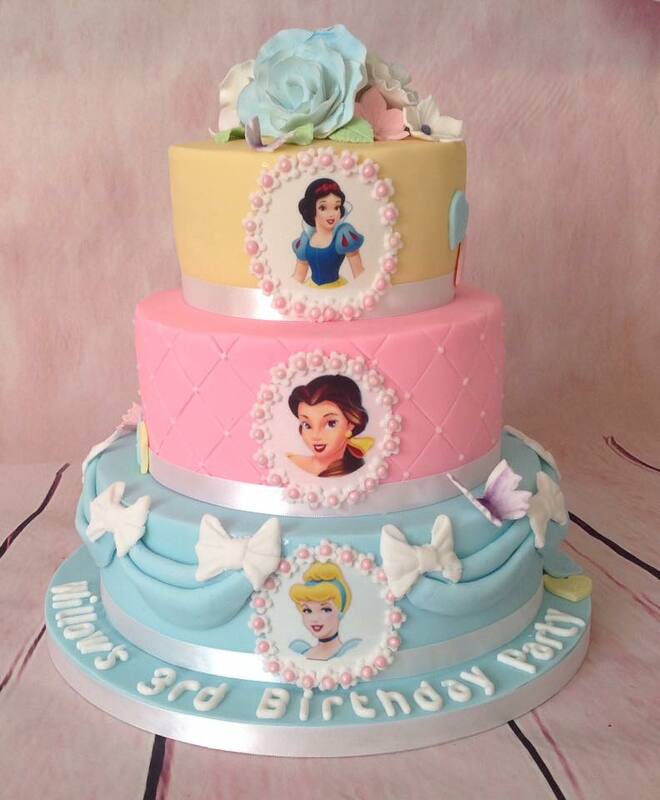 Thank you so much for creating such a beautiful cake for my little girls 3rd birthday party! I couldn’t ask for anything better than what we received, thanks again to you and your team for all your hard work! I cannot believe how incredible the cake you created for us was. Not only did it look amazing, it tasted great too. To describe my reaction when i saw it in one word – Wow!! Thank you so much, it was the perfect element that made our celebration that much more special and unique. I know this is far in advance, but i already have another booking for you – Saturday 1st December 2018 for a 60th Birthday party. By the way, i would like to keep the little ring box you created as a keepsake, do you have any tips on how to preserve it? 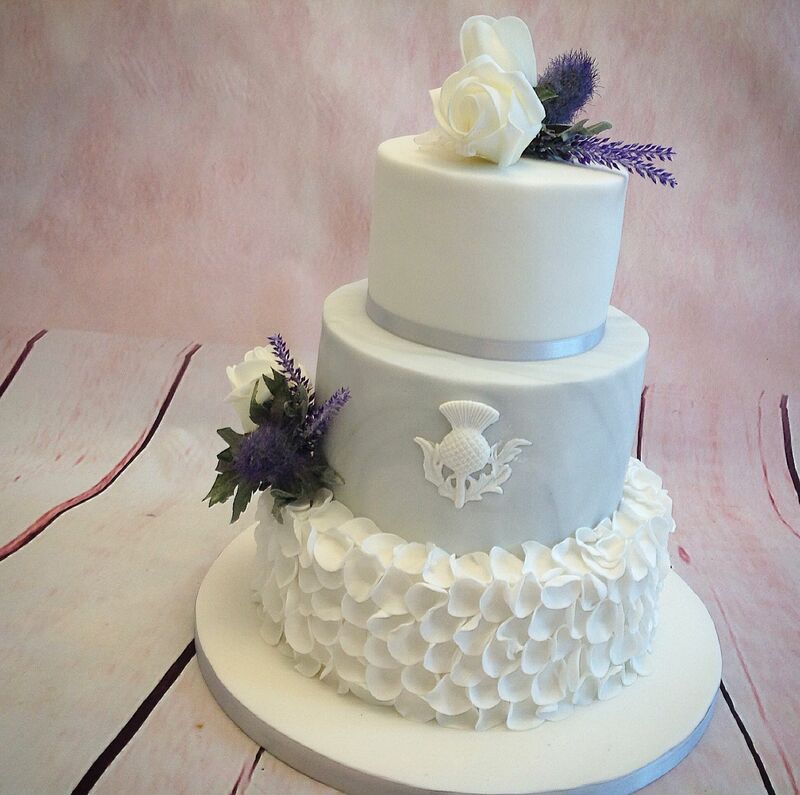 We would like to say a huge thank you for making our amazing wedding cake for 2nd September at Morley Hayes. The cake looked stunning and tasted delicious and everyone enjoyed it. Here are a few pics of the cake in action. Birthday 17/09/2917 Thanks so much Kim for this fantastic Louboutin shoebox cake! My daughter absolutely loved it and it tastes amazing! Cannot fault, would 100% recommend and use for future events! And to say this was made with very short notice, thanks so much for your help! 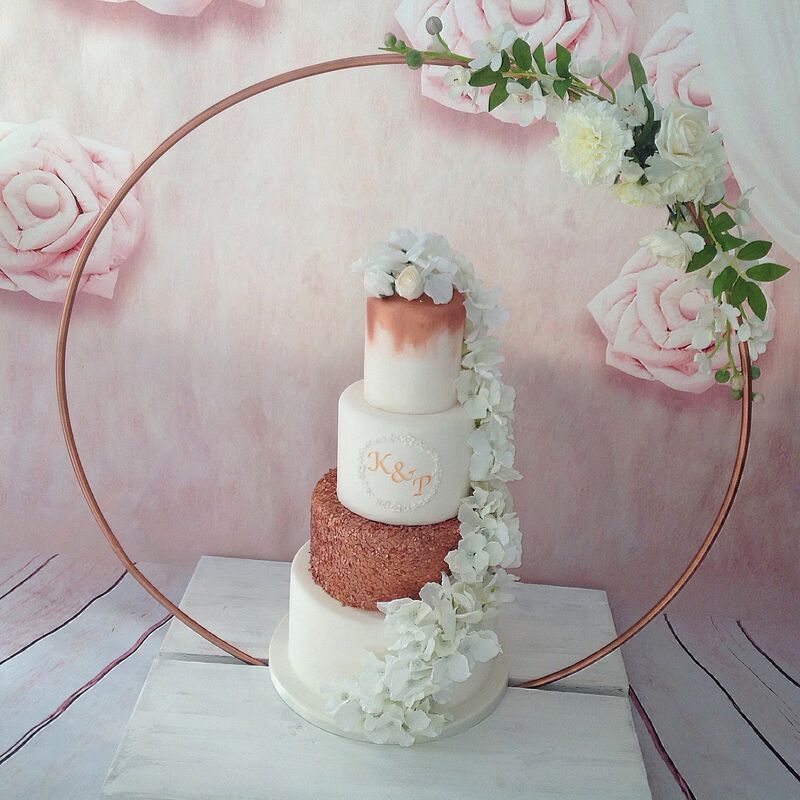 We were absolutely blown away with our wedding cake and it tastes amazing! Thank you so much. Again Kim excelled !!!!! My surprise birthday cake looked fabulous and the taste great . Many thanks Kimxx. Having been let down by our previous baker I contacted Kimbo’s cakes on a very short notice to have a cake delivered for my wife’s birthday. Kim and her partner literally saved the day. The entire process from start to finish was extremely professional and the final product was flawless! 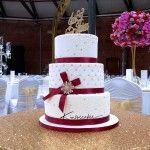 The cake we ordered was a 3 tier celebration cake (chocolate, lemon drizzle and cherry/amaretto), the design was exactly to my specifications, it was super tasty and it was delivered and assembled at the specified venue. Thank you for the brilliant cake you made for my brother’s 30th birthday last weekend. 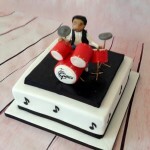 The theme (drum kit topper) was a hit and everyone was so impressed with your mini version of him playing his drums! It was also delicious (I definitely spied more than one person having multiple pieces, myself included). Thank you again. Your sewing box cake went down a storm, everyone admired it and enjoyed eating it too ! Very talented and fairly priced, I would recommend to anyone looking to get a cake made! P.S. It tasted great too! Fantastic service from Kim. Absolute Professional. Thank you so much for the stunning and delicious cake. We had lots of comments about it. From our first enquiry, the service, expertise and professionalism has been exemplary. Just wanted to say that our wedding cake was the most amazing creation ever. It was certainly the talking point of the day. No one could beleive that they could actually eat it as well, and it tasted superb. From our first enquiry, the service, expertise and professionalism has been exemplary. Thank you so much, Diana and Terry. I just wanted to pass on my heartfelt thanks for the wonderful Jack Skellington cake you made for my son’s 18th birthday. He was completely blown away when he saw it – as was I if you recall when you delivered it. 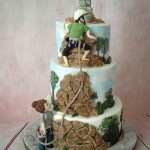 He could not believe all the detail and was particularly taken with the character and the stitching detail around the cake. You really did do his favourite character justice and it was simply magical to see the look on his face when we unveiled it. Cannot thank you enough for the time and effort you put in to his cake. Absolutely stunning and tasted wonderful!! I have already shared the pictures on facebook of the cake (which I am happy to tag you in, or email over) and a couple of people have requested your details. Will definitely be contacting you for my sisters 40th next June. Just a quick THANK YOU for the fabulous cake!Lynne was absolutely thrilled to bits with it.We had the celebration at a restaurant and you should have seen how many people came to look at it(and ask where it was from! )I told them to look on the net for kimboscakes, so perhaps you will be delivering to Wigan again.Anyway thanks once again and if ever we need another celebration cake we know where to come! Sorry it’s taken me so long to contact you but thank you so much for the cake you made for Hayley’s wedding, she was so pleased with it. As well as being beautiful it tasted absolutely fantastic too, still can’t decide whether we liked the chocolate or the Amaretto layer best! 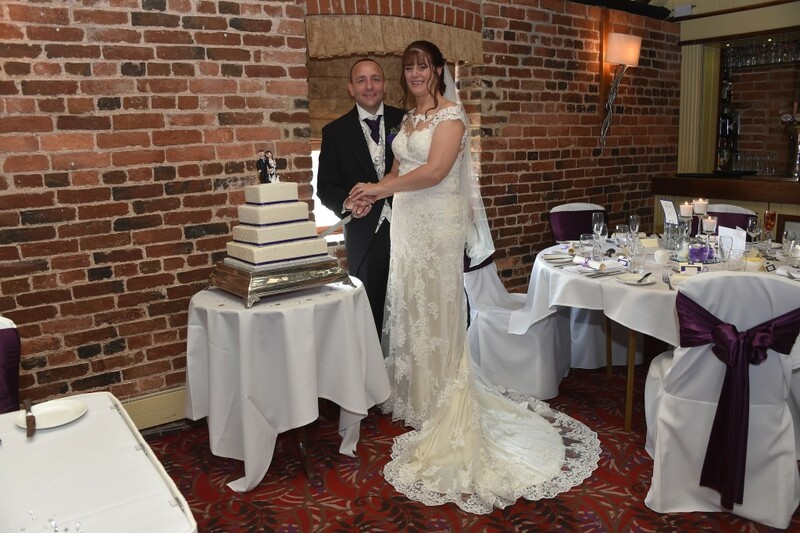 Thanks also for decorating the cheese wedding cake, a lot of people didn’t realise it was just cheese! Just wanted to say thanks for our amazing cake. Everyone loved it. 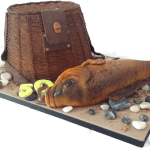 Thought I would send you the email from the guy that we hired the camper van from as he writes a blog and there is a photo of your cake on it. Just wanted to drop you a quick line to say ‘thank you’ so so much for Jack’s 21st cake – it was absolutely superb! Really, really pleased with it! We managed to keep it out of Jack’s sight until it was ‘presented’ to him at Morley Hayes yesterday, and he was thrilled with it. It raised a laugh as we all know Jack too well for his strict work-out & body-building ethic and what’s more, it tasted great too! Not too sweet and sickly like some cakes can be. Everyone said how tasty it was. So, thank you ever so much Kim, you did Jack proud!…. and I know where to come when I want my next cake made! I will get round to formal thank you cards soon (still a bit post-wedding crazy at home!) but just wanted to let you know quickly how delighted we were with the cake you created – it was much admired and enjoyed. Wow!!!!! Just wow!!! The cake was absolutely perfect thank you so much!! I could not have asked for anything more awesome!! We had so many fantastic comments about how brilliant it looked and tasted!! Once our professional photos are through I will forward some pictures on. Just wanted to say a big thank you, the cake looked absolutely fanastic and tasted just as good. Loads of people commented on it and I have recommend you to them. I just wanted to say a BIG thank you for the wedding cake you made for our wedding in December. Everyone commented on how stunning it looked and how good it tasted. I just wanted to send a quick email to thank you for our beautiful snowflake wedding cake on 1/12/12. Everyone also commented on how delicious the cake was! As promised – please find attached a picture from our Wedding party of us with the cake. We have others (of just the cake) so do let me know if you would like copies of those. We had a wonderful evening and it was made even more special by the fantastic cake you made for us. We had plenty of compliments on the unique design and fantastic taste of all three layers, so thank you very much for everything. Please thank him. Away thanks for all your hard work it made my day. Just to say many thanks for the cake. My mum loved it and we will certainly recommend you to others. Hope you are both ok?? 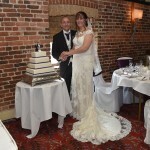 Just to say thanx so much for making our wedding cake it was absolutely beautiful both in looks and taste. Everyone commented on how nice it looked and tasted!!!! Well done you !!! Also thanks for sorting out my postbox and petals for my tables everything looked fab thanks to you. Just to let you know I have your coloured sash which went around the cake stand, do you want me to pop it back to you??? Also thanks for bringing the cake boxes last night, we did need them to bring the leftovers back today!!!! Just wanted to drop you a line to say a BIG thanks for the amazing cake. Eddie loved it+none of our guests could believe it was a real cake. The coconut+white chocolate butter cream was absolutely delish!! You truly are a star+I know my 1st port of call for cakes in the future. Just a note to say a big thank you for the fantastic cake that you made for us. I wish you could have seen Sharon’s face when she saw it. She just couldn’t take her eyes off it and we had to wait nearly four hours before she consented to cut it and give everyone a piece and then she only cut the front bit so she could take the decorated part home with her. Everyone commented on it and said how lovely it tasted too. 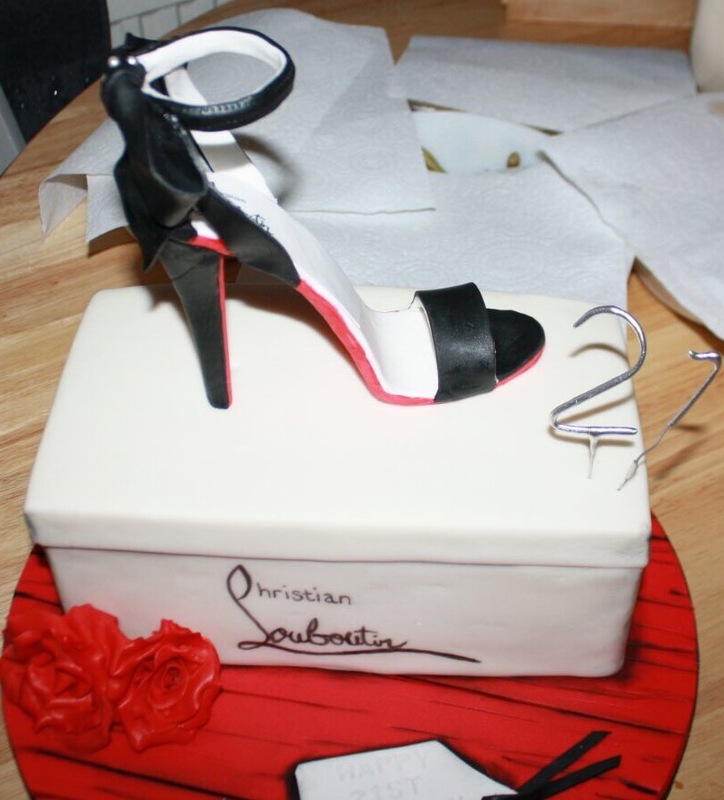 The Christian Louboutin Shoe Cake for Lisa’s birthday was fantastic, she really loved it. All of the party guests thought it was spectacular. The extra small cake , Tiffany box, was also lovely in particular as Lisa has Tiffany engagement and wedding ring. 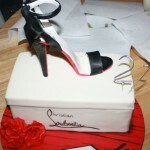 The cake was very nicely done and the shoes great. The cake itself was very tasty and moist, with plenty of flavour and you could certainly taste the fresh strawberries. Thank you again for helping make Lisa’s 40th birthday a wonderful day. Thank you. Everyone enjoyed the cake and thought it looked great as well as tasting great. We are still waiting for photos to be processed but will forward you a few photos once we have them. Sinead, kaydon + of course sienna. thanks Kim cakes wicked looks amazing and tastes lovely too. Thanks Patrick for being discrete about payment lol. Very impressesed with everything. 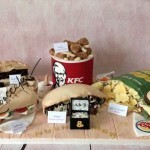 we just wanted to say a massive thank you for the “Racing Pigeon” 60th Birthday cake you made for us earlier this month. Not only was it the perfect design and delicious, Brian absolutely loved it. His face was a picture! Thanks again for a job well done! I would just like to thank you for the fabulous cake you made for my daughter’s birthday on 16th June. 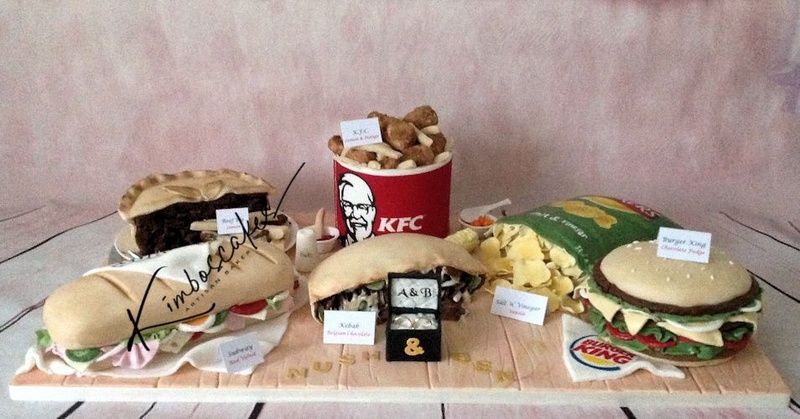 I absolutely loved it and it received many compliments at her 21st birthday party! Your service was outstanding and I will recommend your website to family and friends. Thank you so much the birthday cake you made was utterly brilliant we could not have been happier with the service and wonderful cake it was a delicious cake and I would recomend you to any great cake lover my daughter was thrilled and very surprised nothing was too much trouble for this lovely coupe who we had the pleasure of meeting well done kimbos hope to see you next year thanks again. Just wanted to say a big thank you to you for my daughter’s birthday cake. You did a grand job and it looked wonderful. I really appreciate your hard work and effort and the cake tasted good too…finally got a tiny piece today! Just want to say a big thank you my wedding cake and the birthday cake were truly amazing,everyone loved them and said how beautiful they looked. Just would like to let you know that the cake was great. A fantastic design and great taste. Well done. We just wanted to say a big thank you for making our gorgeous wedding cake, you got it spot on, the cake looked amazing, better than the picture. We have a small bit of each flavour left and will enjoy scoffing these before we go off on our honeymoon!! 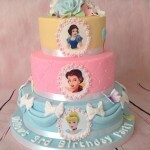 Once we get some pics through I will send a couple over, the cake looked so pretty and worked with my theme so well. I will be recommending you to everyone and you will defiantly see me in the near future. Just want to say a huge thank you for putting me in contact with Dan regarding the helicopter.Because of you to ive now been able to give Steve the perfect day. I was bowled over by your helpfulness. With out a doubt I would recommend you to friends and family. I will be sending the ribbon to very soon. Just wanted to let you know that the party was a great success and everyone thought the cake was fantastic. It not only looked great, it tasted great too. 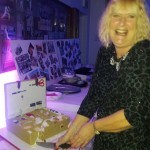 One of Jennys work colleagues has seen a photo of the cake and asked who bought her a sewing machine for her Birthday. That is testament to your workmanship. Thank you for the lovely Cake. It looked absolutely amazing and tasted even better. My favourite had to be Carrot Cake. One of the best carrot cakes I’ve ever tried. Thank you again for a great service. We were all really really pleased with the final product. just wanted to say the cake looked brilliant and Sam was so very pleased with it. If you give me an e-mail address I will send some photos. Just a quick email to say thank you so much for our wedding cake on the 19th November! we absolutely loved it, it looked fantastic and tasted amazing!!! It was better than i ever thought and exactly what i wanted so thank you for all your hard work!! Hopefully see you in the future for more cakes! Thank you so much for the beautiful wedding cake. Everyone commented on how lovely it was. We have attached a photo of us with the cake. Many thanks again.